Steven Tyler is an American musician, singer, and songwriter best known as the lead vocalist and frontman of the Boston-based rock band Aerosmith. He also plays the harmonica, and occasional piano and percussion. Tyler’s wide vocal range, exuberant outfits and high-energy performances played a major role in establishing Aerosmith as one of the world’s most famous rock bands. Born “Steven Victor Tallarico” on March 26, 1948 in Yonkers, New York, his family moved to the Bronx when he was only 3. His father was a classical musician, pianist and music teacher. Steven Tyler achieved worldwide fame and the adulation of millions of dedicated fans in the 1970s as the frontman of Aerosmith, after the band released a series of commercially successful hard rock albums, including Toys in the Attic (1975) and Rocks (1976). He suffered alcohol and drug abuse problems in the late 1970s and early 1980s, due to which the band’s popularity declined to a certain extent. 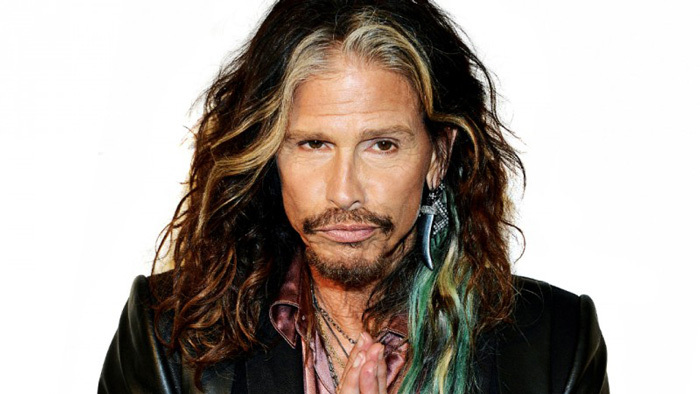 Tyler underwent drug rehabilitation in 1986, following which Aerosmith had a wonderful comeback in the late 1980s and early 1990s with the launch of Permanent Vacation (1987), Pump (1989) and Get a Grip (1993). All three albums went multi platinum and cemented Tyler’s status as a worldwide rock icon. He subsequently launched a successful solo career and also collaborated with other recording artists. He also appeared as a judge on the hugely popular singing competition “American Idol”. Tyler continues to record music and perform with Aerosmith. He released his autobiography Does the Noise in My Head Bother You? in 2011. Steven Tyler has been inducted into the Rock and Roll and Songwriters halls of fame. He was honored with the ASCAP Founders Award in 2013. Steven Tyler has been married and divorced twice. He married model-actress Cyrinda Foxe in 1978. They divorced in 1987. Tyler married his second wife, clothing designer Teresa Barric, in 1988. The marriage ended in a divorce in 2005.